Fernando Romero, an architect, urban designer, educator, author and philanthropist, was born in Mexico City, Mexico on October 11, 1971. 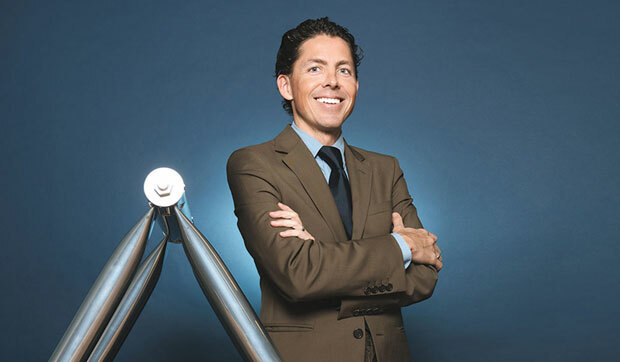 The great grandson of a Mexican developer, Alejandro Romero Lesbros, Romero got his degree in architecture from Universidad Iberoamericana in Mexico City from 1991 until 1995 and also served as the president of the alumni society. Right after the graduation Romero joined the office of Rem Koolhaas, Office for Metropolitan Architecture (OMA), in Rotterdam, Netherlands and just at the age of 26 he performed duties as the project leader on the exuberant $100 million Casa da Música in Porto, Portugal. In 2000 Romero returned to Mexico and started off his own firm with the name Fernando Romero Enterprise (FR-EE). For a notable period of time his firm served the wealthy Mexican clientele and produced a number of exuberant domestic projects. With the passage of time the firm acquired maturity and it produced an extensive variety of projects ranging from a variety of scales, programs and forms throughout the world. Romero has always been quite sensitive towards the site and context and does not mind deviating from his signature styles in order to produce something suitable for the given context. His works hold a tight grip around sustainability and he assures the provision of economic solutions for architectural problems and never compromises on the environmental integrity. Along with buildings, Romero has been doing great job for urban level projects and master plans as well. For him the notion of an ideal city means a car-free space with sustainable design approach, where residents relish all means of comfort with additional facilities of security, health care and education. Romero has also been involved with a vast range of educational and cultural activities, which include the restoration and preservation of Mexican cultural pieces of art and architecture and to spread the awareness regarding the importance of these fields in the Mexican region. For this purpose he often holds exhibitions to showcase notable projects and encourages the young lot for their exploration and experimentation regarding the field of architecture. Fernando Romero is actively pursuing his career and making exuberant contributions through his firm that comprises staff of 60 in offices located in Mexico City and New York.